Why Spec-Work – When You Can Network? In the comical words of the Toyota Venza commercial, “I have 687 [Facebook] friends, this is living.” Sprint is also catching on to the growing size of networks with their Sprint Framily plan, where the more lines you add, the more you save. Regardless of how you perceive the vastness of social networks, there’s no denying their impact on human connections. Is their perception accurate? Are we, as a society, growing our circles to include quality contacts or a contact book simply rich in quantity? What does networking get you and what does a networker look like? Appleton Creative’s VP of Marketing, Amy Wise, was asked to answer many of these questions for Full Sail students this past Thursday. Dictionary.com defines networking as “a supportive system of sharing information and services among individuals and groups having a common interest.” Having a strong and robust network leads to growth, development, leverage, interactions, influence, mentorship and an exchange of information, all both personally and professionally. Not much has changed in terms of the benefits of networking or what it means. 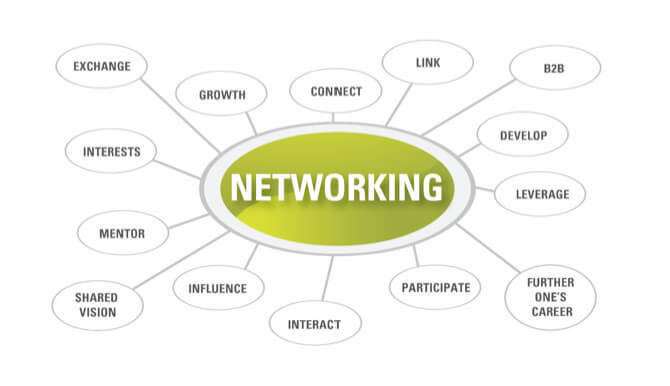 But today’s way of networking has evolved with the influence and growth of technology. Acquaintances have matured into influencers, connectors and friends on social platforms, making social a prime source for networking. We are utilizing Facebook, Twitter, LinkedIn, Foursquare and even specialized sites like Match.com as new networking catalysts. As much as the digital realm has redefined networking, it can never truly replace face-to-face interactions. Ready to test your in-person networking skills? Take note of these 3 sacred rules. Everyone is there for the same reason and is hoping someone else will start the conversation. Approach them as if they are a mentor or influencer. We all love talking about ourselves. Find something you can offer them and elaborate on mutual associates they deem important. Get a card, leave a card. This makes follow up a viable option when you have a reason to contact them, on recent successes for example. Make sure you make your next contact feel personal, it will set you apart. Check-in periodically to build the relationship. This will make whatever “ask” you may have in the future less uncomfortable. Offer to be a resource and/or asset to them. Is your website or business card ready for the crazy influx of business you’re about to receive? Appleton Creative is an award-winning, full-service advertising agency located in Orlando, Florida. Appleton works with local, national and international clients to provide marketing strategies through print, web, social media and video production – all in-house. At Appleton, we want to learn about your business, empower your marketing team and be your creative resource. Your marketing goals are worth a conversation: contact us at 407-246-0092 or info@appletoncreative.com.